It seems Kiwi crime writing is flourishing everywhere! 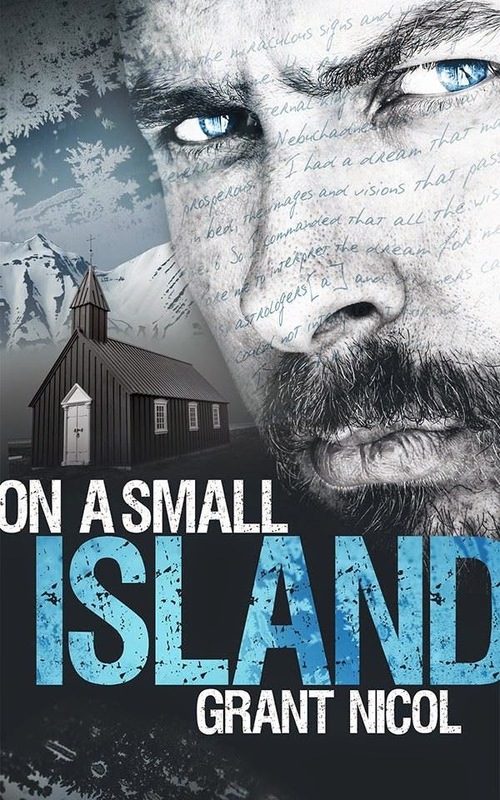 I'm in Reykjavik this weekend, attending the Iceland Noir crime festival, and I ran into Grant Nicol, a New Zealand author living here, who has recently published his first crime novel. Over the course of the weekend I've been thinking there are several similarities between Iceland and New Zealand - island nations with ruggedly majestic scenery, volcanic landscapes, remote and sparsely populated outside of the main centres, fantastic fresh produce, and adventurous and active spirit etc. "In the space of just a few short days, Ylfa Einarsdóttir sees her peaceful existence in downtown Reykjavík turned on its head. Some unexpected news from one of her sisters and a brutal murder that’s far too close to home for comfort leave her wondering why life has turned on her so suddenly. When the police fail to take her seriously, her hands-on approach to the investigation soon lands her in hot water. Following a string of biblical messages left behind by a mysterious nemesis she stumbles upon a dark secret that has finally come home to roost. As she is about to find out, on a small island, what goes around, comes around." Nicol said he wrote the novel while he was in Ireland. He now lives in Reykjavik, having visited several times over the years while based in Europe. Unlike many crime novels, ON A SMALL ISLAND doesn't have a cop, journalist, private eye, lawyer or other professionally investigative person as the hero. Instead, it is a family member who finds themselves trying to unravel the mystery. Nicol's debut is available on Amazon Kindle, and his second thriller has been accepted by a London-based publisher, and will be released in early 2015. You can check out ON A SMALL ISLAND here. Have you read any novels set in Iceland? What do you think of Nordic Noir? I have been a fan of the crime novels by Icelandic writer, Arnaldur Indridason, ever since visiting Iceland nearly 10 years ago. And I plan a return visit next year. And Nordic noir is my favourite reading: all that snow and ice and repressed people makes for great plot lines. I'll check out this recommendation.